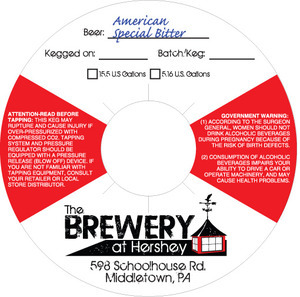 The Brewery At Hershey American Special Bitter is brewed by The Brewery At Hershey in Middletown, Pennsylvania. This brew is served on tap. We first spotted this label on June 7, 2013.